Our guide on starting a makeup business covers all the essential information to help you decide if this business is a good match for you. Learn about the day-to-day activities of a makeup business owner, the typical target market, growth potential, startup costs, legal considerations, and more! The business savvy entrepreneur who is passionate about experimenting with cosmetics will find success in this industry. As the owner of a makeup business, your role is to help others turn their visions into a reality and feel more positive about their appearance. What happens during a typical day at a makeup business? You and your staff will take a more hands-on approach with customers. Shelves must be fully stocked and reorders should be placed regularly. Facility must be maintained and kept clean. Marketing efforts should target specific demographics. Learn who would benefit most from your products, their specific needs, and work to define what sets you apart from the competition. How does a makeup business make money? What is the growth potential for a makeup business? Growing 6% in 2016, the beauty industry consistently realizes significant growth, year after year. The makeup class was the largest contributor, contributing 82% of the industry’s overall growth. While brick and mortar establishments offer the highest earning potential, online beauty sales have grown at a rate of 20% annually. This industry shows no signs of slowing down and offers ample opportunities for the dedicated and innovative entrepreneur. What are some skills and experiences that will help you build a successful makeup business? Real world experience is critical to the success of your business. Before establishing your company, consider working at a beauty store. Study each department, the customers' needs, the distribution chain, marketing, and staffing. There is a lot of work that goes into running a company like this. Learn from the successes and failures of your future competitors. Your education, however, shouldn’t stop there. Get to know the various products and lines on the market. Experiment with the merchandise and get creative. To lead a makeup business to success, one should possess many of the qualities that make a great leader. Strong communication and organizational skills are critical. Attention to detail and the ability to delegate will also prove beneficial. The Professional Beauty Association offers membership resources to assist start-ups in realizing long-term success. What are the costs involved in opening a makeup business? If your business plan includes starting a makeup line from scratch, you will need to invest a great deal of time and money, before ever opening your doors to customers. Industry leaders suggest planning for nine to eighteen months, just to develop your makeup line. If you have a vision for a makeup product, Sephora offers entrepreneurs a unique opportunity to turn their vision into reality. Grants and funding through this program could help offset some of these initial costs. Experienced makeup professionals report an initial budget of anywhere from $75,000 to $200,000, depending upon the specifics of your business plan. What are the steps to start a makeup business? Form a legal entity. Establishing a legal business entity prevents you from being personally liable if your makeup business is sued. Open a business bank account. A dedicated checking account for your makeup business keeps your finances organized and makes your business appear more professional to your customers. What are some insider tips for jump starting a makeup business? Success in this industry requires careful planning, hard work, and personal time. Do not expect to be an overnight success. Research continuously to remain on top of the latest trends. Creating brand awareness takes time, creativity, and dedication. Carefully consider your logo and ensure it properly represents your product line. Many makeup lines have found success attending beauty-related events, such as industry organized seminars and expos. This is a wonderful way to network, conduct research, and educate consumers on your makeup line. Partner with local wedding planners, hair stylists, makeup artists, theatre groups, and photographers. They are often in the market for new products that meet their evolving demands. Set aside a portion of your monthly budget to advertise in relevant magazines and websites. 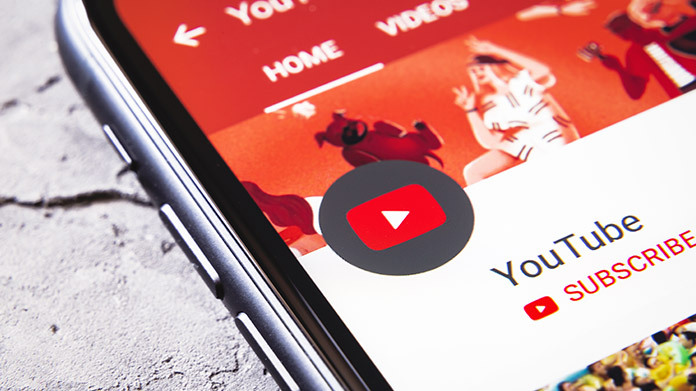 Additionally, online tools, such as business directories, social media platforms, and Google AdWords, will assist in identifying the needs of your target audience. 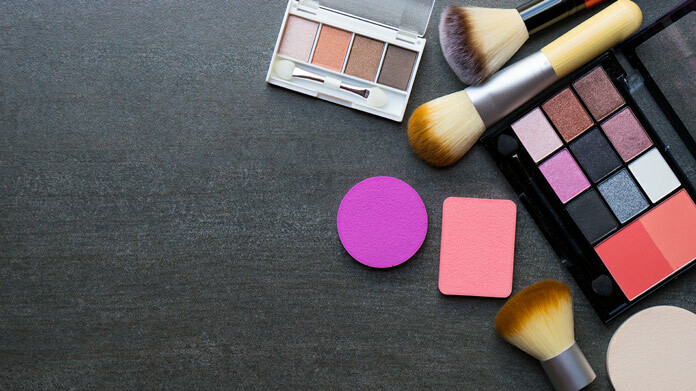 Recent studies indicate that the biggest reasons customers shop for a new makeup line is directly related to a drop in product quality and poor customer service. To ensure customer retention, follow up with clients and ask for their input. Provide special offers or free products on birthdays or significant life events. This affords you the opportunity to test out new products on customers and helps build a loyal customer base. Education and training are of the utmost importance in this field. With payroll representing one of your largest expenses, overstaffing stands to eat into your profit margins, slowing down the success of your company. When constructing your business plan, consider short and long-term goals. This will help you determine the size of your workforce and the timeline of when new members should be added to your team. The U.S. Food & Drug Administration has set regulated standards for the production and sale of cosmetics. This FDA website outlines the federal cosmetics regulations. Review and understand these regulations to ensure that your makeup business is in line with all federal regulations. Certain state permits and licenses may be needed to operate a makeup business. Learn more about licensing requirements in your state by visiting SBA’s reference to state licenses and permits. Beauty products are typically sold by the unit and vary in price. Low-end cosmetic lines have products starting at $5, while high-end items sell for upwards of $150. What are the ongoing expenses for a makeup business? The average makeup business’ largest operating expenses are payroll and costs associated with leased space. Annual expenses vary, depending upon location and size of product line. How much profit can a makeup business make? Profit margins for this industry average 40%, with some running as high as 80%. An average small beauty line can realize a profit of $35,000 to $70,000 annually, while larger companies are reporting profits in the multi-millions. Host a makeup or skincare clinic, specifically geared towards your target audience(s). Get involved in photo shoots with local and national magazines.